Whether you’re pregnant or you just gave birth to your baby boy or girl, your child is the center of your world and you want the absolute best for him or her from the very start. But where do you start? On Saturday, April 30, Woman’s Hospital will host its semi-annual Baby Grand event to bring pregnancy and infant-care information at your fingertips. Join Woman’s healthcare professionals as they share tips on taking care of your baby while taking care of you. Meet and interview several pediatricians before choosing the one that you will entrust with your child’s healthcare. And see first hand why Woman’s Hospital is The Birthplace of Baton Rouge with tours of the Labor and Delivery and Mother/Baby units. 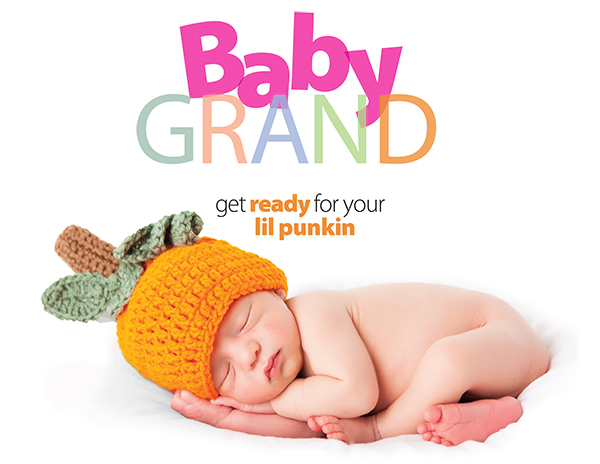 Baby Grand also features pregnancy and childbirth classes for moms and dads, door prizes and demonstrations on swaddling, diapering and bathing your baby, among others. Baby Grand is free to attend and no registration is required. Woman’s only asks that parents leave the strollers at home to avoid traffic jams inside the hallways. Join us April 30 as Woman’s gets you ready for your lil punkin. ← Cancer Q&A: What Is Cancer Of An Unknown Primary?